Foxy ladies carry the baton! 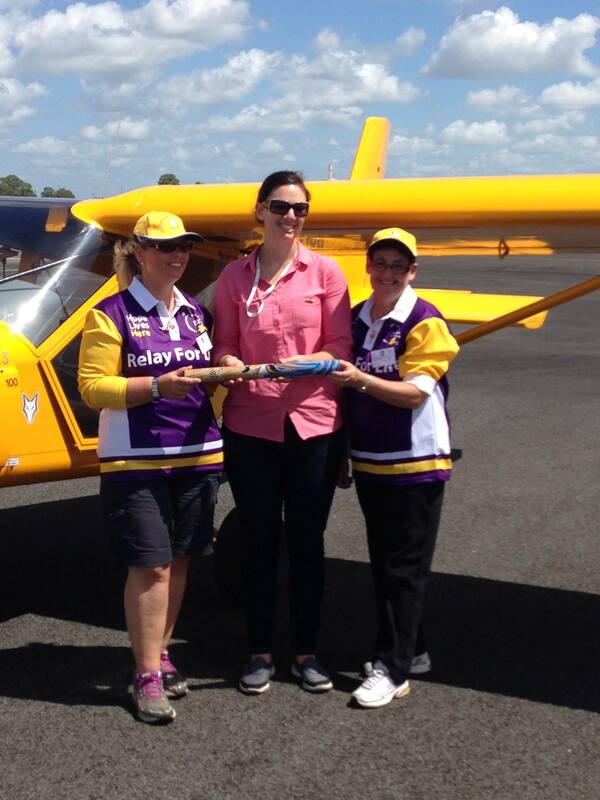 As mentioned in a previous post, on Sunday 8 March, Heather and Nathalie carried the baton from Caboolture to Bundaberg for the Women Pilot’s Relay of Flight in support of the Australia Cancer Council. Originally hoping to raise $1,500, in the end Heather and Nathalie managed over $3,600!! What a fantastic effort and congratulations to all donators and helpers alike. Good on you Foxy Ladies! With less than a week to go, our Foxy ladies from Caboolture are within 10% of reaching their goal of raising $2000 for the Cancer Council of Australia. Maybe you can help them over the line by making a donation?